Travel up the beautiful West Coast and watch the scenery unfold from beaches to forests, then explore the Pacific Northwest's best cities on foot. This trip allows you travel by train during the day and enjoy the space and amenities of a hotel at night. 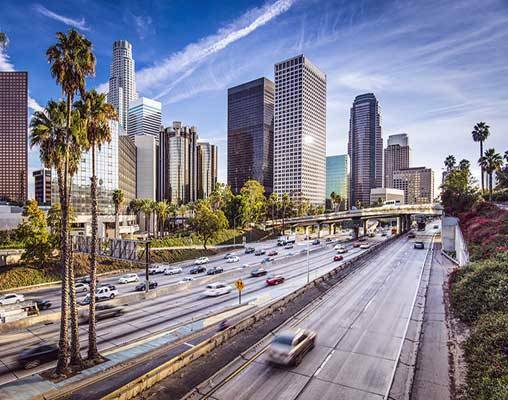 Start your journey with a day to explore Los Angeles at your leisure before you embark on your train trip. 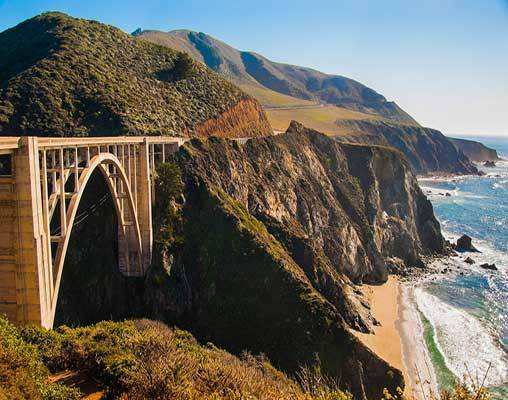 Enjoy the stunning Pacific Ocean scenery as you travel along the rugged beachside beauty of Big Sur all the way up to the forests of Oregon. That night, be lulled to sleep by the rocking rhythm of the train in your choice of accommodations. Your stay in Seattle includes a Hop On/Hop Off bus tour where you can choose which of the city's best sights you want to visit. In the afternoon, browse the local cafes and enjoy some Seattle-brewed coffee. Next, take a trip on the ferry to reach Canada, where you'll disembark in Victoria. Enjoy a day to explore the many outdoor activities and beautiful parks of this capital city. A second ferry ride takes you to Vancouver where you can explore the area's diverse communities and local cuisine. Arrive in Los Angeles today and transfer on your own to your hotel. You have the day free to explore this quintessential American city. Hit the beach in Santa Monica, shop on Rodeo Drive, or visit the famous Hollywood Boulevard. Keep your eyes open for a celebrity sighting! They aren't uncommon in these parts. Overnight Los Angeles. Arrive at Los Angeles' Union Station in time to board your 10:10 am departure on the Coast Starlight. 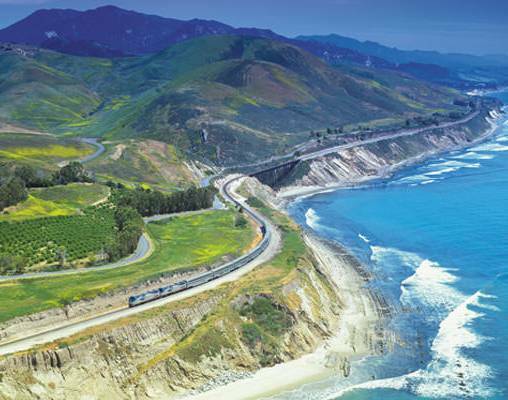 Your train journey along the West Coast is one of the most beautiful in North America. Pass through the picture-perfect beach city of Santa Barbara, and continue up past Big Sur, through San Francisco, and into the evergreen forests of Oregon. You can mingle with other passengers and watch the passing scenery from the Sightseer Lounge. Overnight train. Arrive Seattle around 8:37 tonight, and transfer on your own to your hotel. If you aren't too tired, get acquainted with the Emerald City's microbrewery culture by grabbing a pint at one of the many independent breweries. Overnight Seattle. 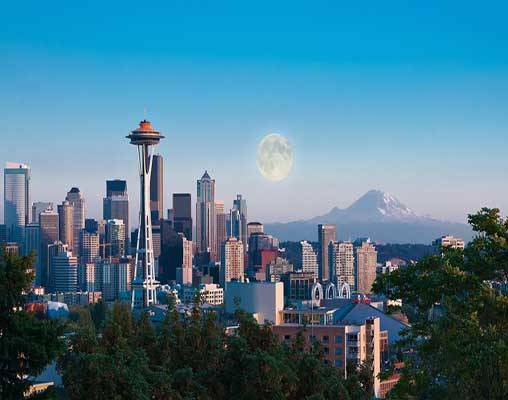 Today, you'll experience the best of Seattle on a comprehensive hop-on/hop-off tour (seasonal). This fascinating double-decker bus tour stops at the iconic sites like the Space Needle, Pike Place Market, and Chinatown. This afternoon, grab a cup of joe at one of the many coffee shops. Seattleites drink more coffee than any other American city, so caffeinating is the perfect way to blend in. Tonight, dine in one of Seattle's distinct neighborhoods, like quirky Fremont or upscale Queen Anne. Overnight Seattle. Today's trip to Victoria, British Columbia is no ordinary transfer. You'll board the Victoria Clipper ferry and cross into Canada by sea. Observe the dramatic coastal scenery from the deck, and feel the refreshing breeze off the Puget Sound. You may catch a glimpse of an Orca whale! 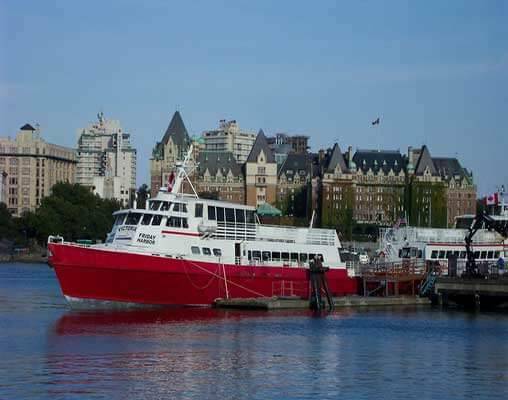 The ferry docks in downtown Victoria, so you can start your sightseeing right away. 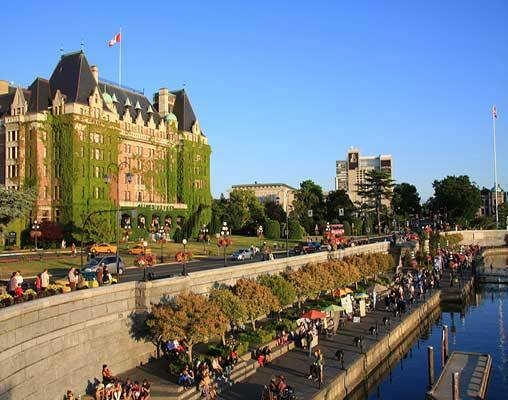 As a special highlight, if you have chosen the Deluxe accommodations, High Tea is included at the Fairmont Empress. Overnight Victoria.. Transfer from Victoria to Vancouver by motor coach and ferry. 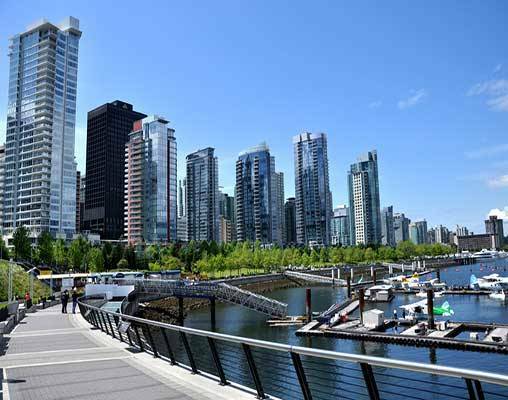 Kick off your time in Vancouver by renting a bike and riding along the Seawall in Stanley Park, or grab a bite to eat at one of the city's many acclaimed restaurants - Vancouver has arguably the best Asian food in North America. Overnight Vancouver. Today's hop-on/hop-off tour of Vancouver will take you to the city's must-see sights. You'll visit a number of notable spots, including Granville Island, an exciting shopping area, Stanley Park, and Vancouver's Chinatown - one of the largest in North America. Spend your last evening getting to know one of Vancouver's colorful neighborhoods and sampling the fresh local cuisine. Overnight Vancouver. Your independent rail tour comes to a conclusion today in Vancouver. Superior Hotels include Millennium Biltmore Hotel Los Angeles, Hyatt House Seattle Downtown, Hotel Grand Pacific Victoria, and Georgian Court Vancouver. Fairmont Hotels include Millennium Biltmore Hotel Los Angeles, Fairmont Olympic Hotel, Seattle, Fairmont Empress, Victoria, and Fairmont Hotel Vancouver. + Vacations By Rail can supply connecting rail from your closest Amtrak Station. Enter your details below if you would like to be notified when 2020 dates and prices are available for Coast Starlight with Seattle, Victoria & Vancouver.